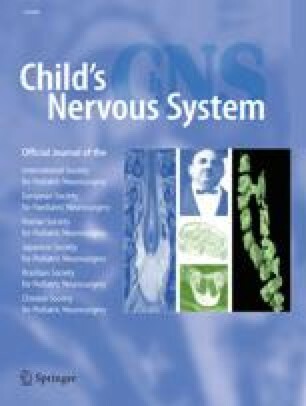 Object: This study was undertaken to compare the results of two tests that are widely used to assess intracranial pressure–volume relationships in children: the lumbar steady state infusion test providing information about the resistance to cerebrospinal fluid (CSF) outflow (Rout), and continuous intracranial pressure (ICP) monitoring. Methods: The study included 28 children aged 5–91 months, on whom both tests were performed. The median duration between the tests was 1 month. With the child in general narcosis, the lumbar CSF pressure was recorded before and during infusion of artificial CSF, and the Rout was calculated on the basis of the opening (Po) and plateau (Pp) pressures (Rout=Pp-Po/infusion rate). ICP was recorded every 5 s using a computer-based system. Conclusions: We found no significant correlation between Rout and mean ICP asleep. There were no significant relationships between abnormal mean ICPs during sleep (defined as either 10 or 15 mmHg) and abnormally high Rout values (defined as either 10 or 12 mmHg/ml/min), and no significant relationships between abnormally high Rout values (10 or 12 mmHg ml–1 min–1) and the presence of abnormal ICP elevations (defined as either 20 or 25 mmHg and lasting 5 min). Therefore the calculation of Rout by the infusion test performed on children under general anesthesia gave no reliable prediction of abnormal ICP.